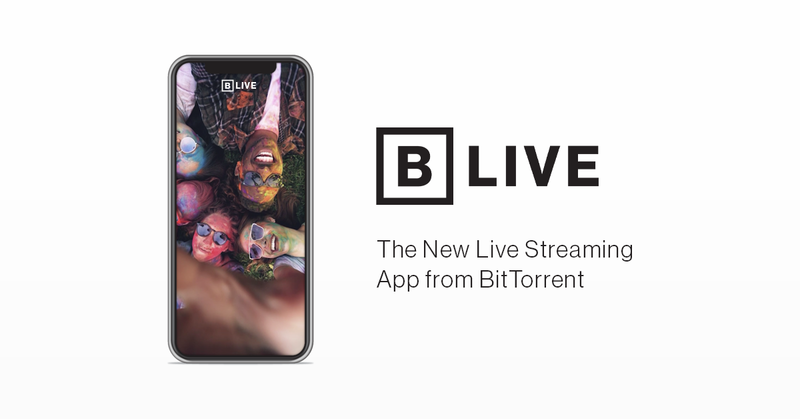 SAN FRANCISCO, MARCH 27 — BitTorrent, a leader in peer-to-peer technology, today began offering early access to its new BitTorrent Live streaming service, which lets consumers create live content and connect on mobile devices to people who share common interests. BitTorrent Live will provide a social media platform for people to express their creativity and connect with others around the world through live video. The service will allow for continuous live streaming anywhere users can get internet access. Users initially will be able to search for subjects that interest them, and then engage directly with the broadcasters to give instantaneous feedback and likes. In the coming months, BitTorrent Live also will incorporate blockchain technology that returns privacy and ownership to users while also enabling payments with our utility token, BitTorrent (BTT). BitTorrent Live will be rolled out globally in phases. It will be available for beta testing download in Q2 2019. People interested in enrolling in the early beta program can sign up here. The TRON Protocol, one of the largest blockchain-based operating systems in the world, offers public blockchain support of high throughput, high scalability, and high availability for all Decentralized Applications (DApps) in the TRON ecosystem, with average daily transactions of more than 3 million. The July 2018 acquisition of BitTorrent further cemented TRON’s leadership in pursuing a decentralized ecosystem. For more information, visit our website. Stay up to date on the latest news about BitTorrent token on Facebook, Twitter and Instagram.